Yes, we cannot say it enough, gone are the days of copy-pasting boilerplate. In order to serve your clients better, you have to understand their needs. This is more than true if your clients have a completely different business style and culture, and even more so if you’re dealing with a non-democratic country with different security laws. 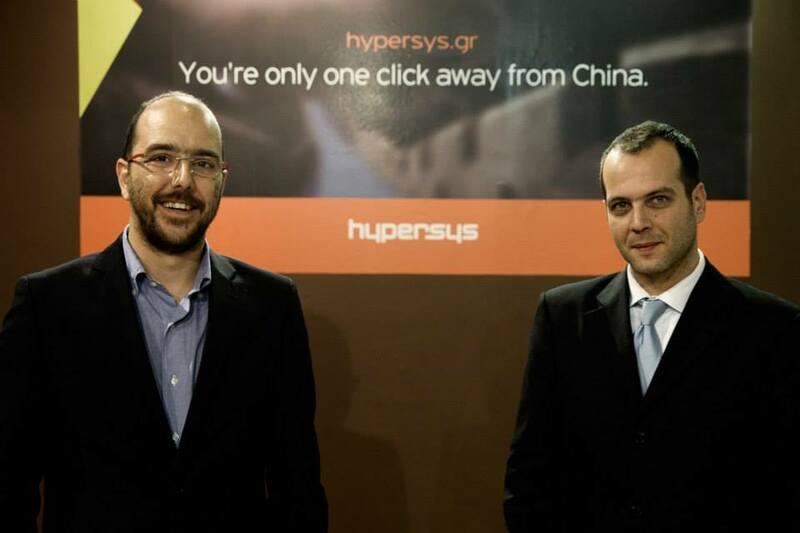 A perfect example of a company who understands this is hypersys, a company that helps design websites for the Southern European market specifically to reach out to the growing Chinese one. This is a must-read interview for anyone looking for new clients at home or abroad! Konstantinos Zachos: hypersys is a web marketing agency in Athens, Greece, specializing in developing and promoting websites and business in China. hypersys established in 2007 when we clearly saw that there is virtually nobody in Europe to provide these services to European companies. Even now, there are no more that five agencies in Europe that specialize in these kind of services. Chinese Internet is nothing similar to the Internet we all now in the West. Everything is done in a different way, from the simple tiny things such as website aesthetics, to the very big ones like understanding the Chinese business culture. Konstantinos: Entrepreneurship it’s not easy. It’s by far the hard way to go in terms of business/carrer development, especially is these turmoil financial and political situations that we are experiencing over here in Greece. Nevertheless, I personally prefer to make my own destiny. Whether my business goes well or not, it should be based upon me and my partner’s decisions and not somebody else’s that I am working for. Have I made mistakes so far? Oh yes! Some of them really big ones, too! But the point is to learn from them, avoid them in the future and make the most of the chances you are exposed to. Entrepreneurship has its ups and downs but boy, is it an exciting way to go…every day something new, taking nothing for granded, keep going further and exploit everything! The only thing that is warranteed is…adventure. My kind of living. Konstantinos: Lesson number 1 in any business school: Companies are established for one and only one reason. To make a profit. This is a cynical statement but it’s totally true. Nevertheless, success is a much broader goal than just making a living. In my view, success means that I do not live in order to work. On the contrary, I work in order to live, in a field that I really enjoy. To work in a subject that is not only exciting (Internet technologies) but is so fluid and challenging at the same time, working without the need of physical address and enjoying life, it’s my definition of success. So to put it simple. Success in business terms is defined as when your business allows you to enjoy life and places, without prisoning you 24/7 on a chair, in a specific office location. Konstantinos: We were looking for a robust, professional and web-based solution in order to create quotes easily, access them from everywhere on the world, from any web enabled device. Due to the nature of our business, we travel a lot hence a quotation system that is really easy to use, is available securely 24/7 from anywhere in the globe clearly pointed out our choice. We just cannot imagine our business running without Quote Roller anymore. Quote Roller is a top-self application that really stands up to its hype. Quote Roller has transformed this into “I’ll do it!”, “I want to do it!”. Totally different mindset if you ask me. Putting down a business offer has never become so easy and creative. Let alone the fact that the customers love it. I remember once having a meeting with a prospective customer at his premises and when I finished I just before starting the engine it struck me…”Hey, this whole thing that we talked about we’ve done it before”…I just changed the contact details in a previous offer, plus some other minor pieces in the quote and clicked the Send button from my tablet…The guy phoned me at the spot saying “You’re joking, right?” By the time I was back in the office, about 30 mins drive afterwards, the quote was signed. Could I have asked for something more from Quote Roller? You tell me! Konstantinos: What I would tell my friends and my business associates about Quote Roller is not to spend another second without it. Everything you need is there. Always available at your fingertips. No need to spend another weekend in the office to prepare that Monday morning business proposal. Word programs and spreadsheets? Get real guys…this is 2014 not 2000. A new quote can be 90% made from your past ones for God’s name! Appreciate your time more and do yourselves a favour. Subscribe to Quote Roller…yesterday! Konstantinos: Oh yes… customers love Quote Roller…Everything is put down nicely. The offer is always there to refer to (no missing emails and attachments and so on anymore…) The winning rate seems to be increased at about 30 percent in just a year. The longer we use Quote Roller, the better we have become in fine tuning our business proposals and get those customer signatures not only easier but also faster.